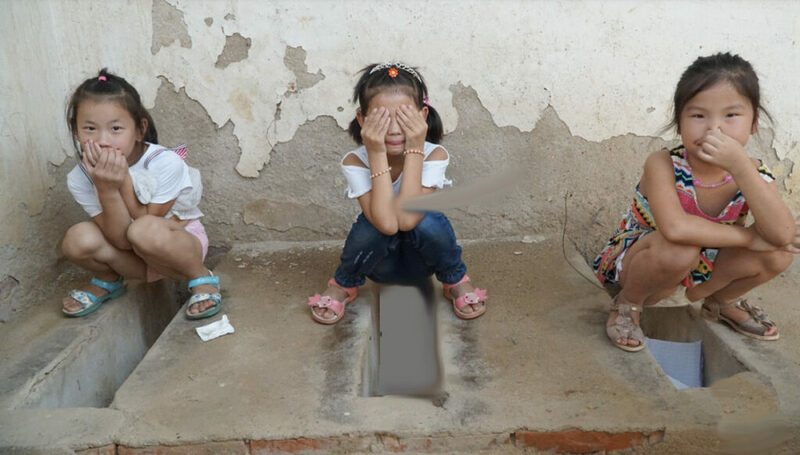 These three young Chinese girls have already mastered the trench squat that is the defacatory posture in much of the world. Readers of these pages will recognize that, owing to my years escorting travel groups to places in the world with different, and often vexing, and sometimes hilarious, facilities for human waste evacuation, I have acquired an ongoing interest in toilets. But for the true aficionado of the commode there is a better place to go. So, before you head off on that trip to a to a “developing nation,” practice those deep knee bends, and using one set of fingers to pinch that nose to pinch that nose. I have, but they are not the worst.